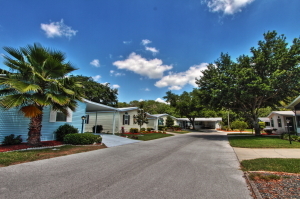 When searching for manufactured homes for sale near Tampa, Florida, be sure to look closely at the homes available at StrawBerry Ridge, a 55 and over community with an amazing array of amenities for active retirees. Our secure, gated community is the perfect place to call home – a warm, friendly community of likeminded retirees with nearly 900 well-built two- and three-bedroom manufactured homes lining well-maintained streets. Your decision to relocate to StrawBerry Ridge means giving yourself the ultimate retirement gift – a home where you can affordably enjoy the fruits of your years of labor without sacrificing options for staying busy. Many of our homes have been expertly renovated, including the installation of updated vinyl windows that will help keep your new home comfortable year round, as well as stain-resistant carpeting and new countertops and cabinets. Whether you are looking for a home that is furnished or unfurnished, you’re sure to find what you need at an affordable price at StrawBerry Ridge. Plus, StrawBerry Ridge is pet-friendly, so you can feel free to bring your animal(s) with you as you transition into life in the Sunshine State. Contact one of our friendly Lifestyle Consultants today to discover more about the manufactured homes for sale in our community, as well as the other amenities life near Tampa, FL, has to offer.